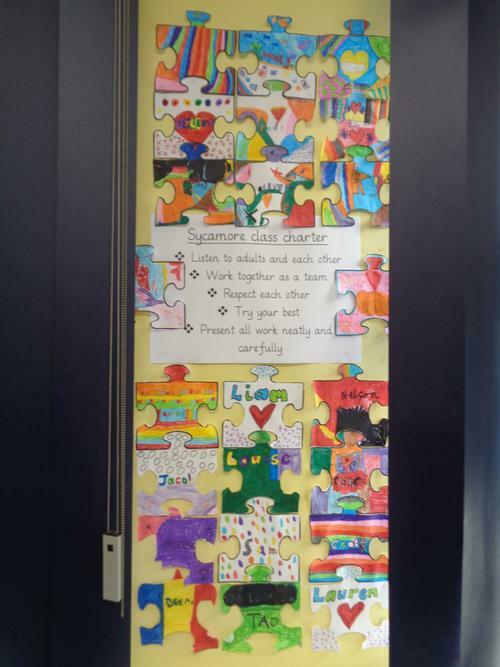 Jigsaw is a comprehensive learning resource to help connect the pieces of Personal, Social and Emotional Education, emotional literacy, social skills and spiritual development. 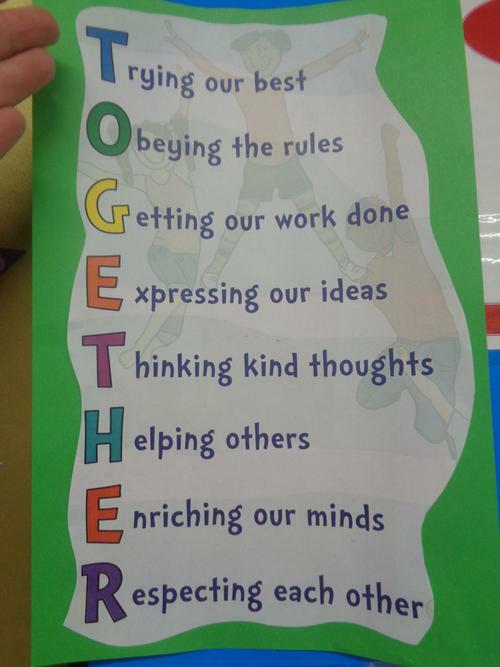 It is used in school from Nursery to Year 6. This is Jigsaw Jem, Oak Class' Jigsaw friend! This half terms puzzle is 'Being Me in My World'. The children have been thinking about what it is like to feel calm and special. 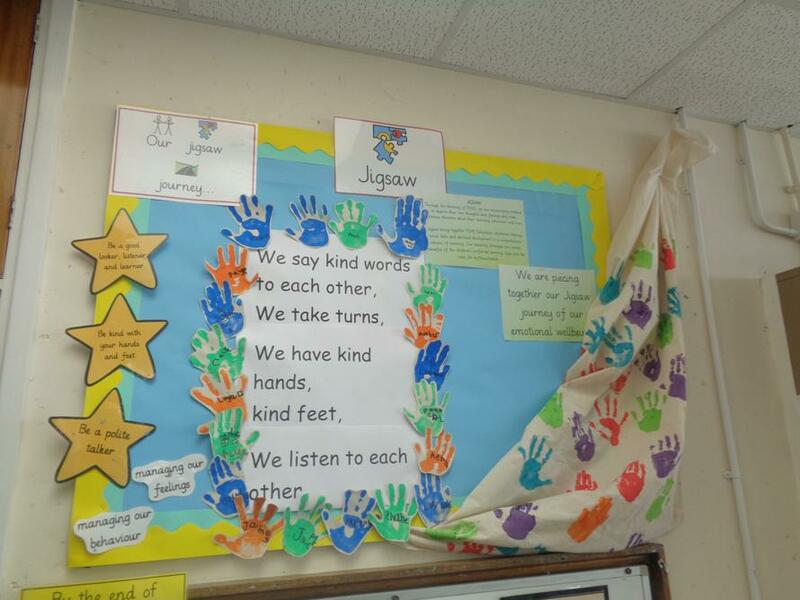 They have all developed a class charter to help each other create the best environment for learning. Here are some of their charters. 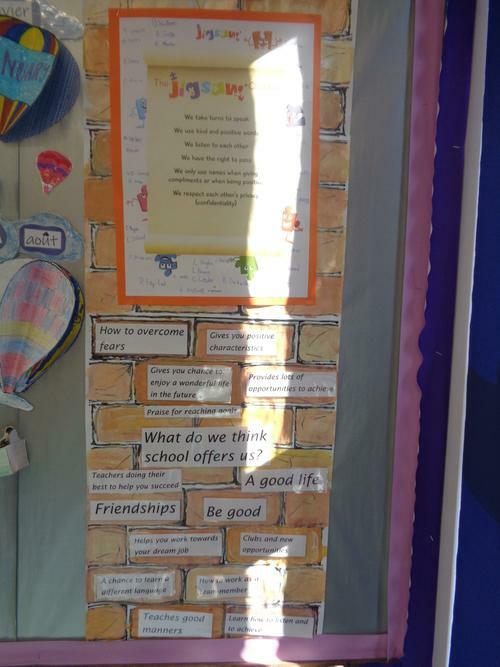 The children have developed their understanding of rewards and consequences too.